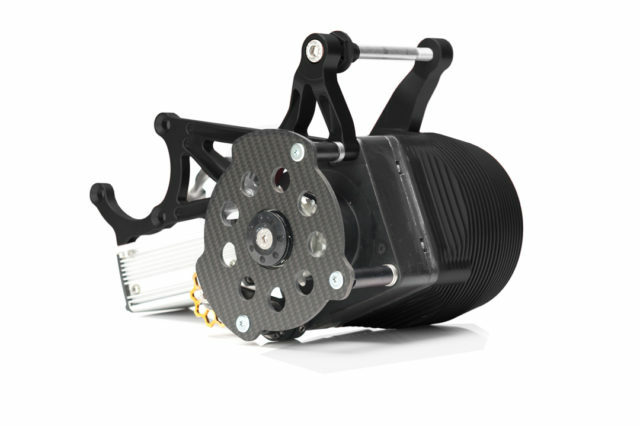 Choose between two motor options: 2400 or 3400 watt. It’s good to have the ability to get your downhill bike to the top, but it’s even better to need the brakes while climbing! 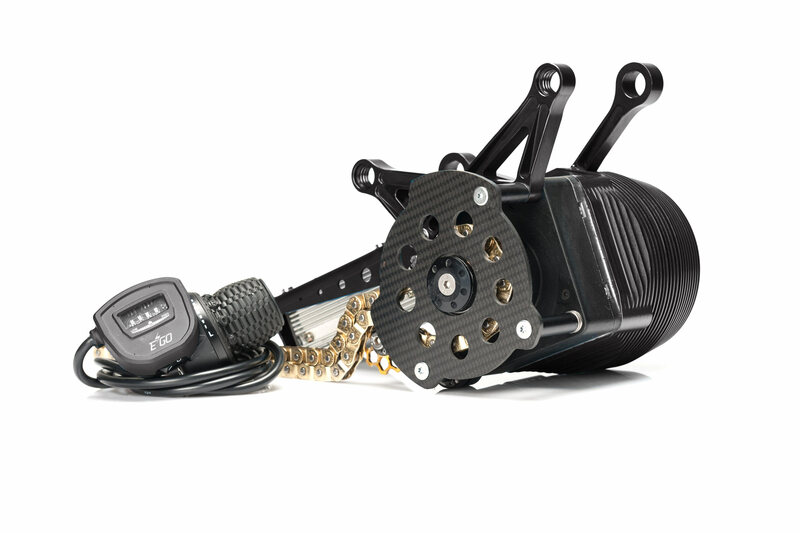 Upgrading almost every bike with electric motor kit offers unforeseen possibilities. Taking the motor off again with little effort brings ultimative flexibility. Choose one out of three mounting systems depending on your bike frame. With a compatibility of 80%, EGO is bound to fit your favorite bike. EGO Kits guarantee perfect bike handling on the trail and in the air. The mid-engine positioning provides a low center of gravity, and the backpack battery offers maneuverability. EGO Kits are designed to give you more access to remote trails and areas. Imagine the possibilities. Can’t find that riding buddy with a pick-up truck? There’s no need for a shuttle with the EGO-Kit. Power-assist up, gravity down. EGO Kits take you further and faster. With the throttle control, you can pedal as hard as you want. Sweat it out or cruise, it’s up to you! 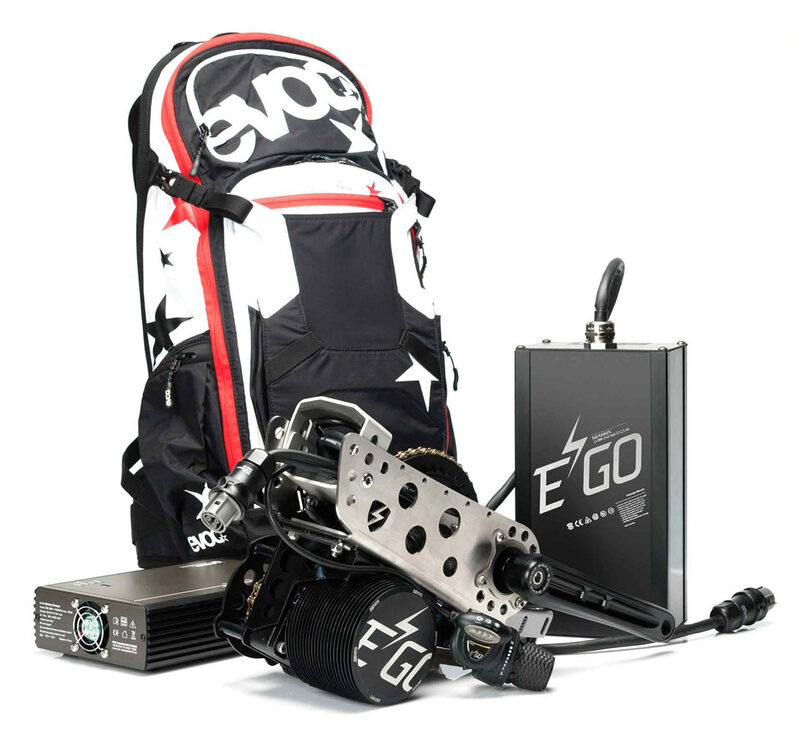 EGO Kit’s power can bring you up any mountain or offer high speed on flat terrain. This equals fun anywhere!